Enamelwork is a decorative craft whereby the surface of a metal body is adorned with a vitreous glaze and then subjected to firing. 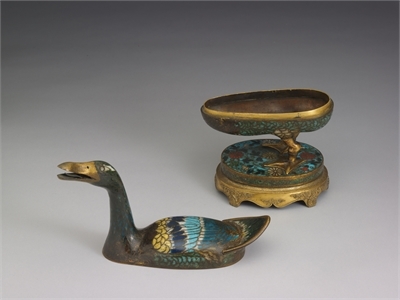 One of the earliest enamelwork techniques to be developed was cloisonné, which involved the creation of compartments (known as "cloisons") using thin copper wires on the surface of the metal body, filling the cloisons with colored glazes, and then firing repeatedly, after which the surface was polished and gilded with gold. This technique spread to China from the west during the Yuan dynasty, and was extensively developed during the Ming dynasty, reaching an artistic height in the Jingtai reign (1450-1456). Because of this, cloisonné works are often referred to as "Jingtai Blue" ware. 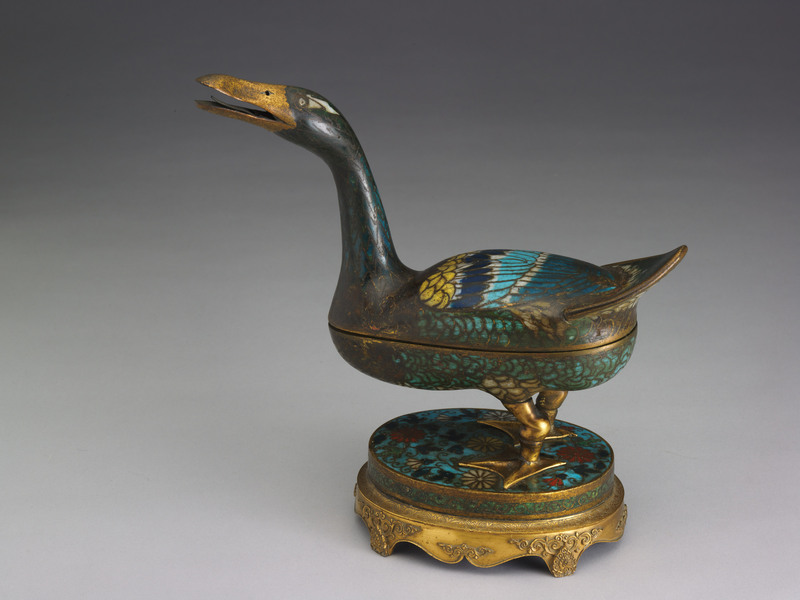 This Ming dynasty censer is believed to date from the early 16th century, and is in the form of a wild duck with head held high. The style and design are quite aesthetically pleasing. Primarily made of copper, the lid and body of the vessel fit seamlessly at the abdomen of the duck, while the incense smoke passes through the neck and out of the bill. 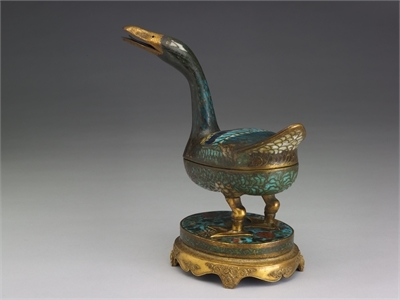 Besides the bill and the webbed feet, the duck is otherwise cloisonned with glazes of different colors and additional embellishments to depict feathers, and the stand is also cloisonned with an intertwined chrysanthemum pattern. 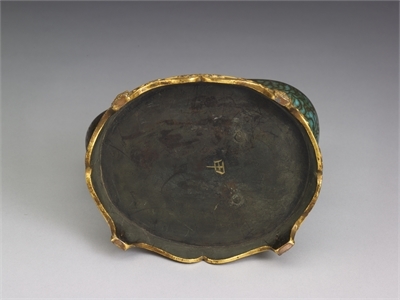 The gold-gilt base was likely added later, and the central “Jia” character carved in intaglio on the underside of the base is an artifact appraisal marking of the Qianlong reign. Animal-form enamelware emerged during the middle to late Ming dynasty, and contributed to the enrichment of enamelware forms and styles of the time.